MUSLIM YOUTH for Change, a group of Muslim youth have cautioned against what they call “undue politicisation” of the organization of the Hajj, a religious ritual of the Islamic religion. 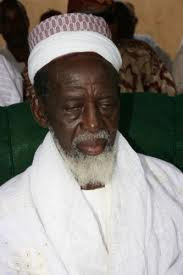 A news release issued in Accra and signed by Sheikh Dayinday Ali, General Secretary of Muslim Youth for Change with the title “NDC foot soldiers Hajj Organizers”, claimed that the organization of the Hajj has been given to foot soldiers and sympathizers of the ruling National Democratic Congress (NDC). Sheikh Ali also called on the Hajj Committee to do a breakdown of this years’ Hajj fare which says has been pegged at 3,100 dollars instead of last years’ 2,900 dollars for the public to know the reasons for the increment. He also reminded organizers of the Hajj to read Quran 4:10 and Quran 7:51.